Folks, it’s been a rough one. There has been a whole lot of sad and frustrating this week. Yesterday, in particular, I felt like I got sledgehammered by the news. Does gingerbread make it better? It most definitely does not. However, it keeps me going to fight another day, and in a dark and stormy world, I’ll take my tiny hope where I can find it. A handsome hat for a handsome fellow. 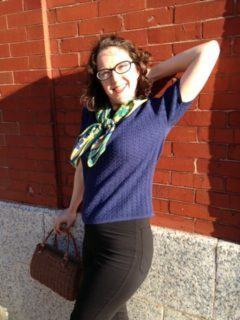 Lately, I am knitting like a woman possessed. Doing handicrafts while watching TV makes me feel like less of a slug if we’re binge watching something. I finished my first sweater (more on that later), and now I’m working on smaller things, like a scarf to use up extra sweater yarn, and this hat for the mister. I decided it was time to learn stranded knitting, and so I settled on this Easy Ombre Slouch Hat. I am incredibly hat picky, and didn’t currently need a hat anyway, but my guy is wearing a dollar store hat with a big hole in it. This will not stand. 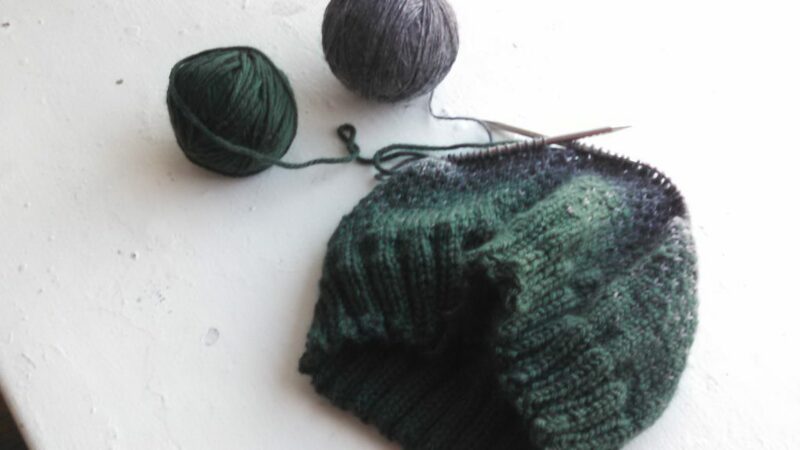 Simply put, stranded knitting is how you work with two colors at one time to make a pattern. It is nifty. It’s how Fair Isle sweaters happen (#goals, #NotNowThough). The yarn is Palette from KnitPicks, in Ivy (I think, I threw out the label) and Charcoal Heather. This little hat is proving to be good medicine. Knitting in the round allows me to enter a kind of meditative state, and doing a stranded project means I can’t think about politics because I have to follow a chart. Not thinking about politics from time to time is essential to my well-being. 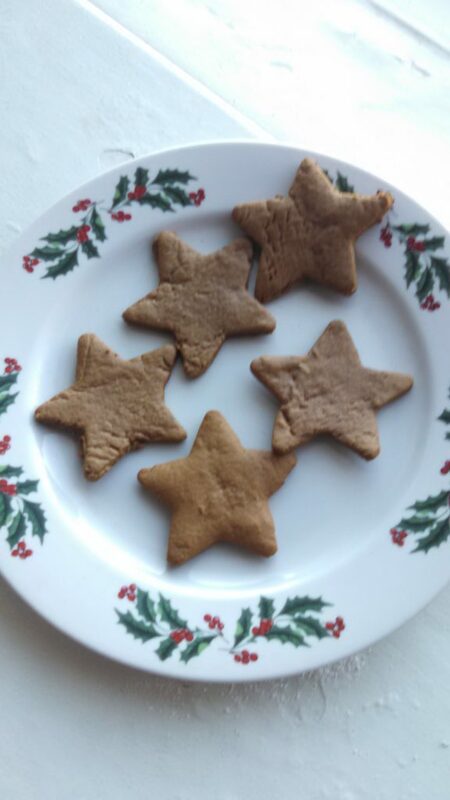 Slightly impressionistic gingerbread stars on a Christmas plate. Usually, I’m more of a drop cookie person. I don’t have a kitchen counter, so rolling things out is a little more of a production than I’m usually interested in. But come December, I’m suddenly digging for the cookie cutters. I have two of these plates, a thrift store find. I know that having plates you use one month a year is not the best small-space strategy, but I can’t help myself. 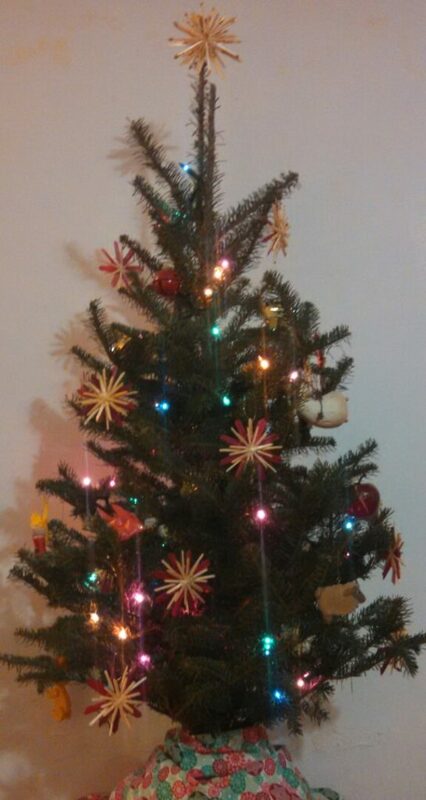 These little stars are making me smile. I had elaborate plans to decorate them in the Hungarian tradition, simplified, but am lazy. I’m daydreaming about getting good at Hungarian cookie embroidery, so I can make traditional favors for my wedding next fall, but good sense tells me that undertaking massive, fiddly DIY projects at that time would be a disaster. (See also: I am not making my own dress). Look. I am radiating joy. 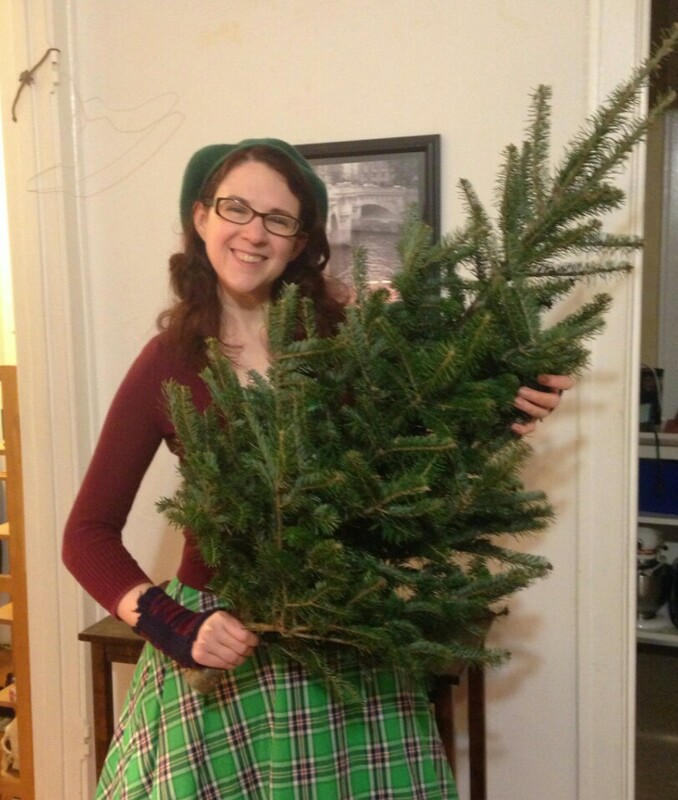 Holy cats, do I get a lot of happiness out of Christmas trees. Behold the following dialogue. M: So how much are we willing to spend on a tree? M: It seems like the going rate is $30. 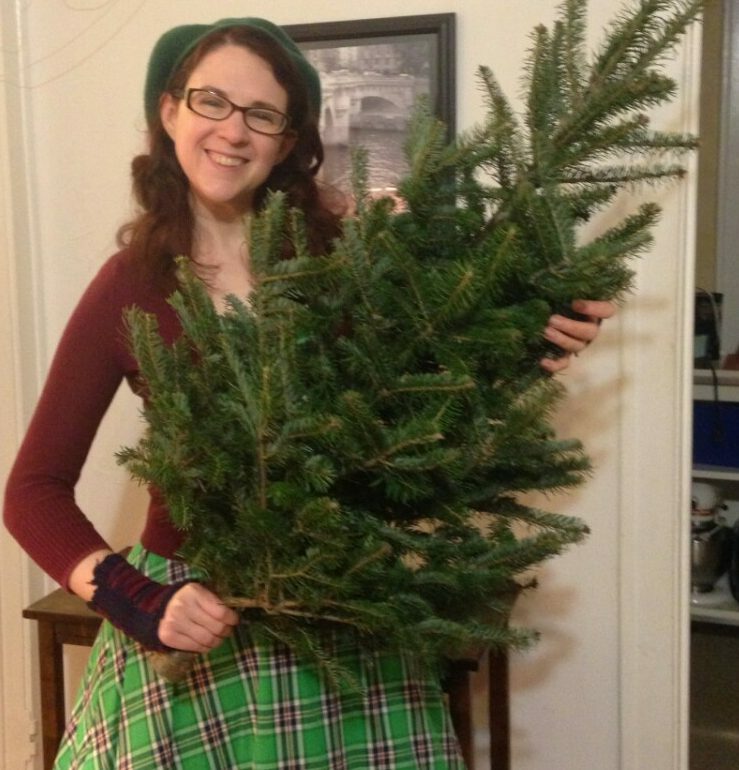 That is too much for a tree, however, I definitely get $30 worth of joy out of it. M: Whereas you get, like, $5 of joy out of it. B: Probably…So we get $35 of joy, for $30. Here it is, all gussied up. 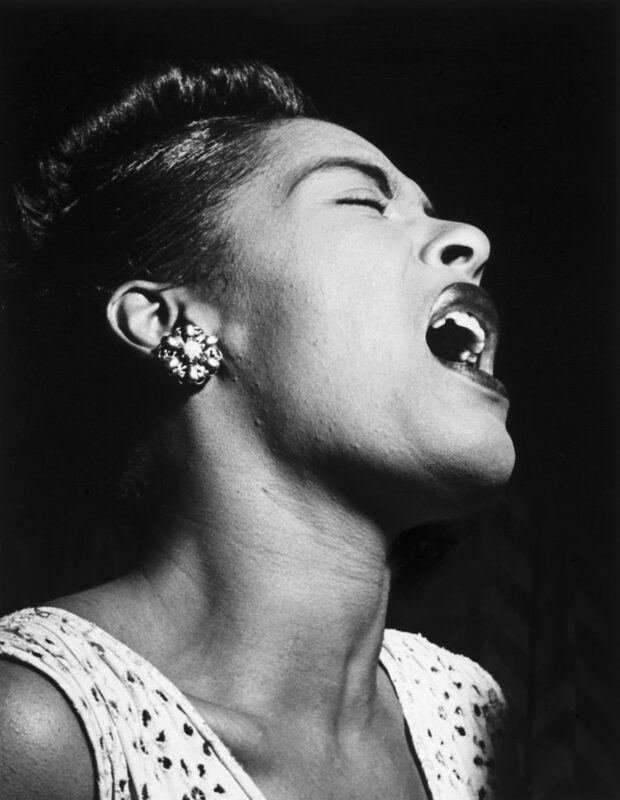 No one has ever sounded like Billie Holiday, and no one ever will. This playlist is great. It got me out of a mid-afternoon funk yesterday. It has the added benefit of putting Strange Fruit last, if you, like me, cannot listen to it unprepared. 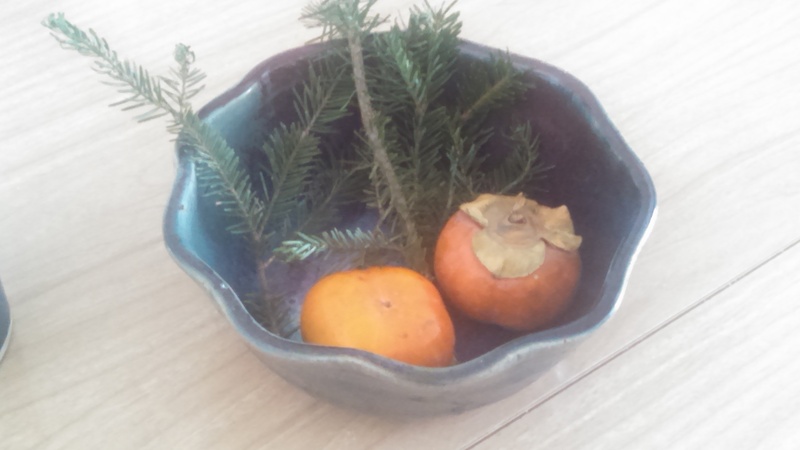 The colors of the persimmons and the trimmed-off tree branches in this clay bowl are just delicious. Nadia, that sounds lovely! 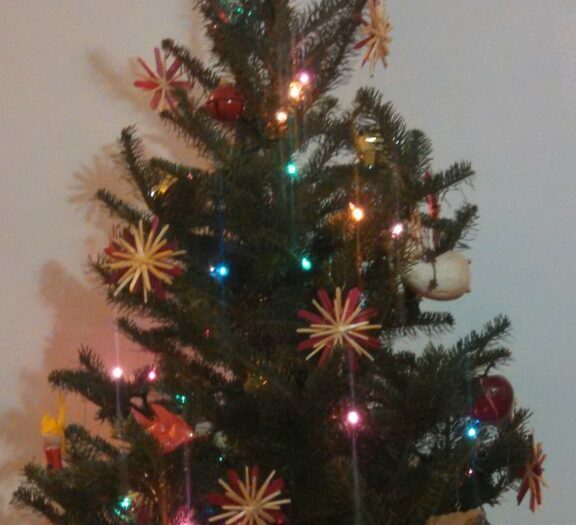 Loud happy music, decorations, baking, and memories of people we love are the best parts of the season, I think. Thanks, Krystal! For more cookie embroidery beauty, check out this bakery’s Youtube channel. It’s spell-binding!